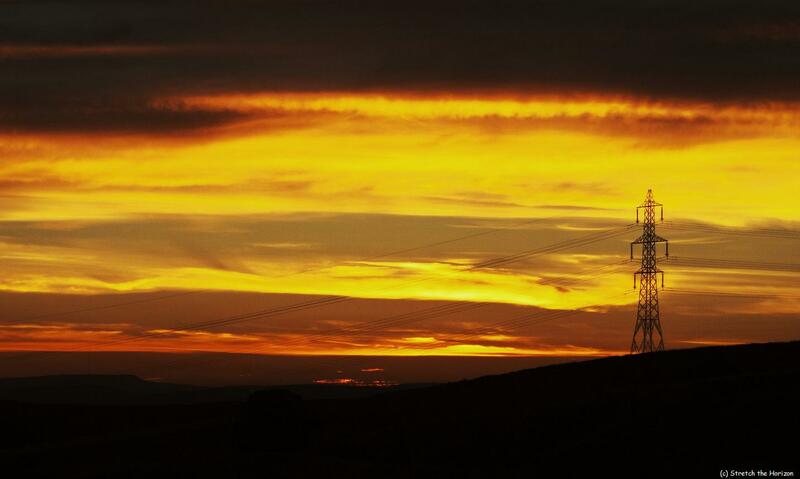 A lone pylon stands against a fiery Sunset, its metallic form looming above the landscape like some kind of vast robotic leviathan ready to invade and attack us all. Perhaps I’ve watched just one too many Science-fiction films in my time, eh…? !